New events have been added that can be set up to trigger when adding new Purchase Orders. 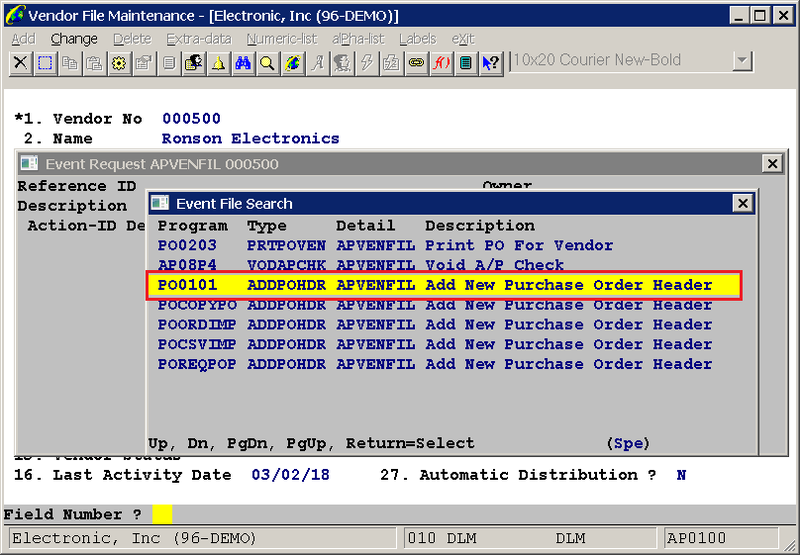 For the PO Header, the description of the event is "Add New Purchase Order Header," the Type is ADDPOHDR, and the Programs are PO0101, POCOPYPO, POORDIMP, POCSVIMP and POREQPOP. 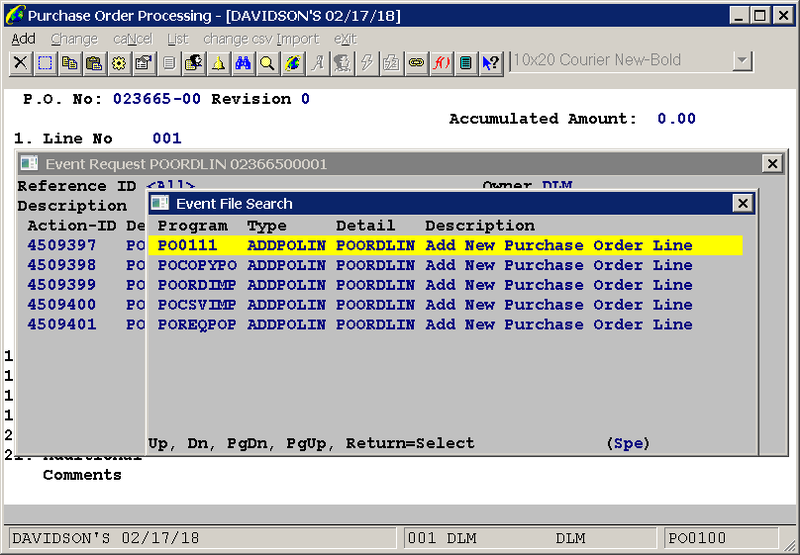 For the PO Line, the description of the event is "Add New Purchase Order Line," the Type is ADDPOLIN and the Programs are PO0111, PO0111S, POCOPYPO, POORDIMP, POCSVIMP and POREQPOP. It can be suscribed to from the PO Order Line Item screen or from Purchase Order Inquiry. 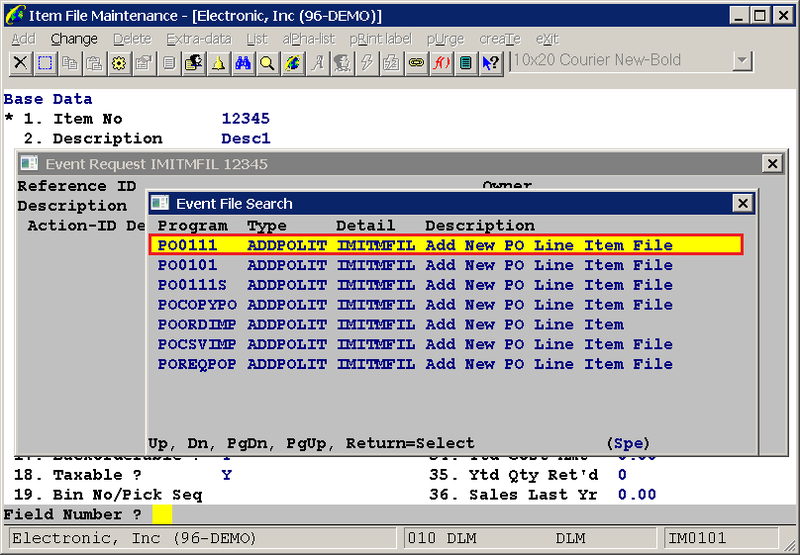 Also available for the PO Line, subscribed through item file maintenance, the description of the event is "Add New PO Line Item File," the Type is ADDPOLIT and the Programs are PO0111, PO0111S, POCOPYPO, POORDIMP, POCSVIMP and POREQPOP.